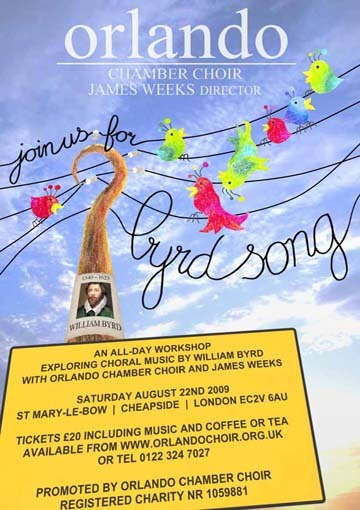 Orlando Chamber Choir invites you to an all-day workshop directed by James Weeks - a great opportunity to (re)discover William Byrd's beautiful choral repertoire, and to sing with one of London's most exciting amateur choirs. The day is also a "taster" for Orlando Chamber Choir's Tallis and Byrd season starting January 2010. Get hooked and you'll be auditioning before you know it!